While Facebook constantly rolls out updates to its core mobile app at such a short span of time, low-end Android devices – some of which have limited RAM – are consistently being compromised in terms of performance and speed. Facebook users know for a fact that one of the most undesirable things about the app is the toll it takes on a device’s memory. The core Facebook app is so memory intensive you can only be surprised when you run into a snag while viewing large photo albums or even just scrolling down your News Feed. 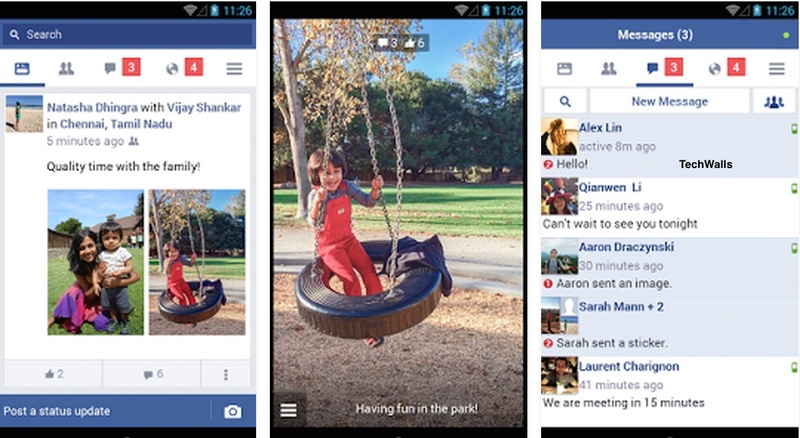 That is about to change, however, with Facebook Lite (download on Google Play Store). The standalone app is developed back in 2009 a simplified version of the Facebook website. Now the social media giant is said to be reviving the app in order to address the perennial concern among Facebook users, especially in emerging markets where low-end Android phones and tablets represent a larger market share. The core app available through the app stores consumes more than 22 MB of your device’s internal memory. Think of that as equivalent to your home’s air conditioning system that accounts for almost half your power consumption. In contrast, Facebook Lite just saps 252 KB from your phone’s memory, or with the same token, comparable only to a side table lamp. And that is quite enough to enable even a 2G phone to run the app smoothly. You are assured of quick load times and cost-saving mobile Internet data usage, plus Facebook’s messaging features instead of forcing you to download and install the Messenger as a separate app. Facebook Lite is developed based on the Snaptu model, with some nifty additions of push notifications, camera integration and other native Android features. However, it remains unclear whether Facebook will push through the plan as it is currently testing the waters. In the past week reports have it that Facebook discreetly introduced the light app to South Africa, Vietnam, Nigeria, Nepal and other countries in emerging economies in order to assess the market. When the test proves successful, it will be when Facebook is expected to decide to release the app full scale. It is also understandable why Facebook is targeting emerging markets such as the Asia Pacific region and Africa. Current sales figure apparently indicates that a huge chunk of mobile users is in for low-end Android devices. So the likes of Samsung, Sony, HTC, and other major players are quite out of the league. Also, majority of those users’ phone still run on older versions of Android such as Gingerbread, Jelly Bean and Ice Cream Sandwich.